There are many varieties of jet craft. Each size is designed to fill a unique role. Larger jets are mostly designed as passenger carriers. 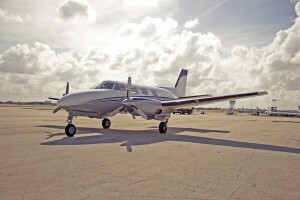 Mid-sized jets tend to charter passengers between remote and smaller cities. Smaller jets can be used for state-to-state travel. Some of the most luxurious jets are equipped with amenities such as private bedrooms, while others have only the bare minimum for two passengers a pilot and copilot. Most jets are designed as a mode of private travel. Very light Jets are specifically designed to transport passengers on flights for about two hours. They typically seat two, no more than four, passengers and the pilot and copilot. Very light jets are often used for state to state—or in Europe, country-to-country—flight by private owners. They are considered the greatest luxury class for small sized jets. Light Jets fill the capacity for greater air distance. The light jet can fly on range up to five hours. The fastest jets in the class reach top speeds of 528 miles per hour (850kph), which is comparable to the largest class of jets. The light class can seat between four and eight passengers. These flights are ideal for travel over land and can be used transcontinental, but not across ocean bodies. Mid Jets are separated from the smaller class by increased headroom and separated bathrooms. They are ideal for transatlantic flights, equipped with more storage for luggage and larger fuel tanks. Mid Jets can easily fly five hours and range as high as seven hours. Some mid-sized aircraft reach top cruising speeds in excess of 600mph (970kph). Ideally, these aircraft seat six to eight passengers. Super Mid is a special class that combines the benefits of larger jets with the economy of smaller jets. They are considered the most competitive flight medium in competition, able to fly transatlantic and carry a significant number of passengers: 8-12. It is because of the full standing room, large cargo capacity and high passenger rate that the jets are able to charge less per flight than other competitors are. Top speeds for Super Mid class range between 500 and 600 miles per hour.